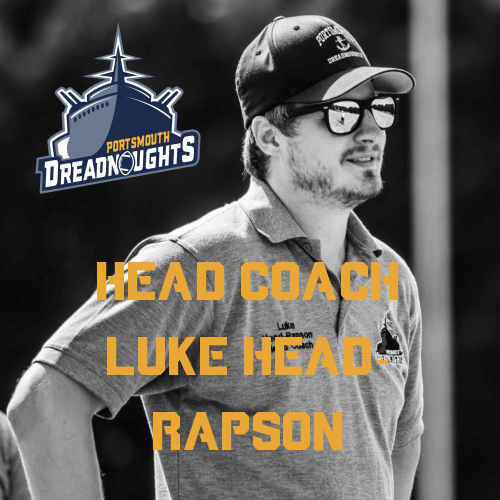 As the Portsmouth Dreadnoughts head into their first season in BAFA’s Division 1 we caught up with Head Coach Luke Head-Rapson on how the team is looking as they look to kick off their season next Sunday 14th April 2019. Hi Coach, Congratulations on a successful season last year, how have preparations being going for the 2019 season? Preparations for the new season have been going reasonably well. We have had a lot of retirements and departures from last season but we also have an exciting new crop of rookies and transfers that’ll hopefully be able to step right in for the guys who’ve moved on. Getting everyone up to speed has been the number 1 focus of the preseason. What should we expect from the Portsmouth Dreadnoughts this season? Hopefully we’ll be able to bring the same physical brand of football with us to div 1, and a team of guys eager to make an impact at a much higher level of competition than last year. You should expect to see both new faces and old ones making plays on both sides of the ball, and what we hope will prove to be one of the strongest Dreadnoughts sides to date. How do you anticipate the level will increase with the step up to Div 1? Huge increase in the talent level and coaching level of our opponents, we are going to get to go up against some of the best guys in the south and I’m really looking forward to the challenge. I expect every game this year to be tough, and I’m looking forward to the fight to show we belong in this division. Your first game this season happens to be against south coast rivals Solent Thrashers, how important is it for you to come away from Test Park with the win? What’s most important is that we can show we belong in this division and can compete with the best. It’s against the team who just barely missed out on promotion to the premiership, so this will potentially be the toughest game we’ll play all season. It would be massive to walk away with a win and would be a huge upset, but if the guys play to their best I think that’s something we can accomplish. 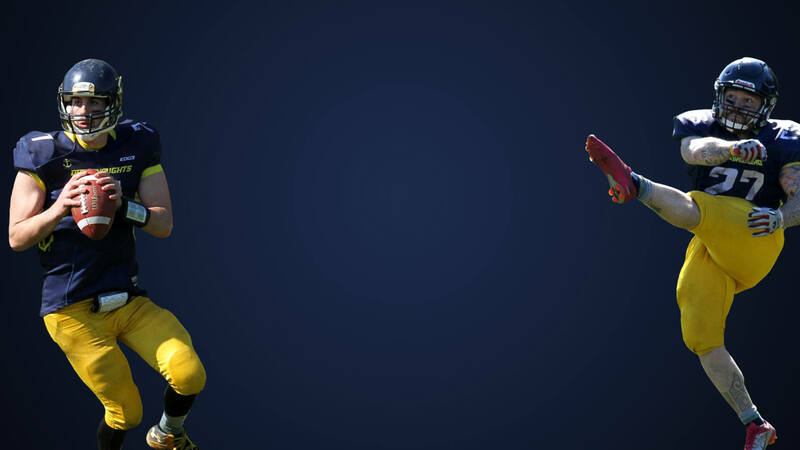 What do you think are the keys to stopping the Thrashers? The Thrashers are so well coached and extremely disciplined, they rarely make unforced errors and control the game very well. We’ll need to disrupt that on both sides of the ball, force turnovers and get them off the field on third down on defense, and retain the ball and get first downs on offense. The key is just to limit our mistakes and make sure that we don’t put ourselves in a hole that we can’t dig ourselves out of. This will be your 4th season as Head Coach, what have been your biggest challenges and what have you enjoyed the most in your time as HC? Fourth season already… I’ve loved being a part of this team and around these people for the time that I’ve been here, they are truly like a second family. Being able to be around them and helping them grow as players and teammates has been the best part of coaching. The biggest challenges are probably just the day to day stuff, keeping people organised and interested, managing the team and the player base and keeping people happy. We’ve been fortunate to keep growing and each year has brought fresh challenges on the field, first two years all I wanted to do was get past Bournemouth! Then we had the playoffs year 2 and 3, and now our challenge is to make some noise in a higher division. Once we’ve overcome one challenge there is always another one waiting just behind it to push you further. Thanks Coach, good luck with your season! You can see how the Portsmouth Dreadnoughts get on 13:30 pm Sunday 14th of April 2019 at Test Park, Sports Ground, Lower Brownhill Road, Southampton, SO16 9QZ against the Solent Thrashers.